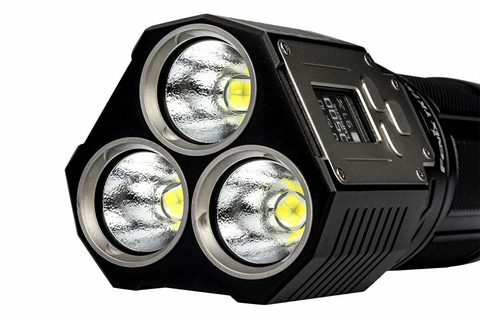 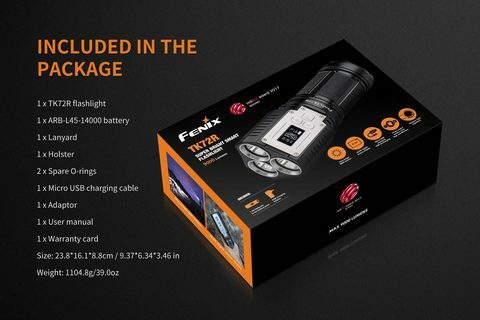 The TK72R Rechargeable Flashlight is Fenix’s most powerful flashlight to date; throwing a light beam over 300 yards with a maximum light output of a blinding 9000 lumens! Operation is made easy by its three stainless steel button interface. Choose from any brightness level from 100 to 9000 lumens (increments of 100) by simply pressing the PLUS or MINUS buttons. 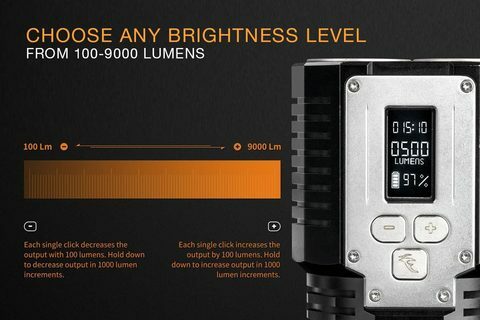 The OLED display shows the flashlight’s current status, including brightness level in lumens, available runtime and remaining battery level. The included battery pack is micro-USB rechargeable and can also be used as a power bank to charge other devices. 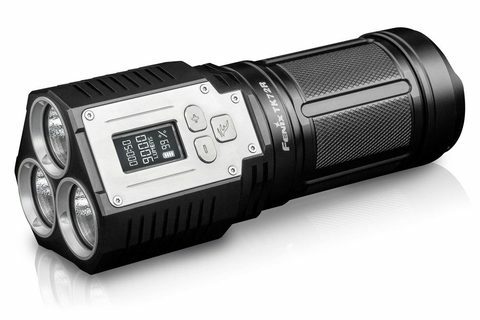 Waterproof and dust proof, this flashlight is comfortable in rough spots where extreme light and versatility are at the forefront.